The 2019 Azerbaijan Grand Prix will be held from April 26 to 28: "In a short time this race has become one of the most popular of the season." 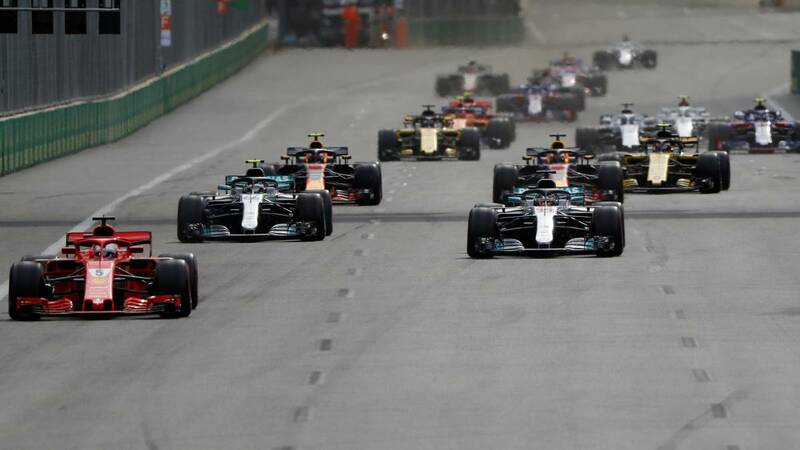 The Azerbaijan GP and the Baku circuit will continue to host Formula 1 races until 2023 after the renewal agreement signed on Tuesday by the Azerbaijani Minister of Sports and Youth, Azad Rahimov and the President and CEO of Formula 1, Chase Carey . Baku has been the seat of Formula 1 since 2016 in its urban circuit that runs partly along the city's coastline and its historic center, classified as a World Heritage Site by UNESCO. El Gran The Azerbaijan Prize was chosen, in 2017 and 2018, as the best race of the season in the opinion of the fans. "In a short time this race has become one of the most popular of the season, for the excellent welcome it offers to all, participants and fans, and for the great scenery offered by the city of Baku as a backdrop to the competition ", said Chase Carey.